Armored vehicles have many roles in the workaday world, securely delivering cash and other valuables. Likewise, specialized armored vehicles made for law enforcement purposed allow officers at the federal, state and local levels to do their jobs more efficiently and with greater personal safety. On a daily basis armored military vehicles keep soldiers in conflict zones protected while they’re on “routine” patrols and dangerous missions. All of these armored trucks, SWAT vans and military vehicles are tough and functional, but are not necessarily built with aesthetic appearance or a high level of interior comfort in mind. 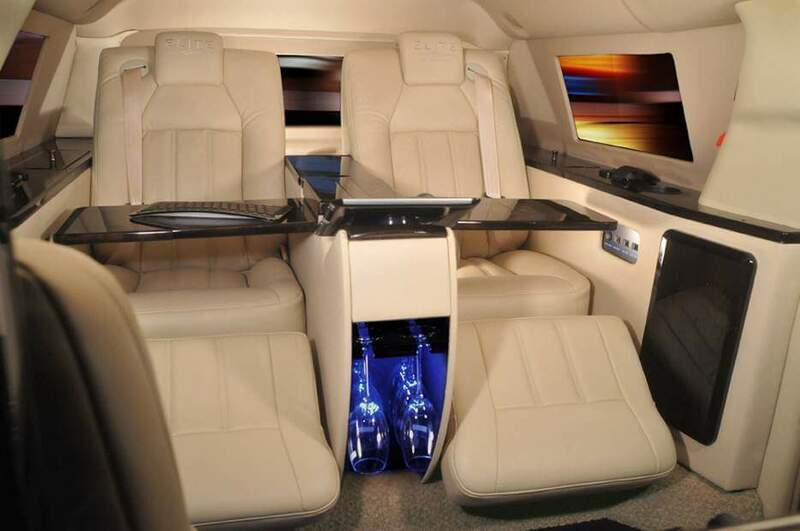 However, for VIPs in need of protection – heads of state, A-list celebrities, diplomats and top corporate executives – armored cars are available that offer a very high level of security without making compromises on looks or luxury. Some automobile manufacturers produce armored versions of their most popular luxury cars, but many armored VIP vehicles are made to the buyer’s specifications by adding armor, bulletproof glass and other necessary security features to cars that have come off the assembly line. A skilled and experienced vehicle armoring company such as The Armored Group can retrofit any high-end car – from coupes to SUVs to limousines – to provide a customer with the desired level of protection from bullets, explosives and other violent threats, all while allowing him or her to ride in style. A big part of the craftsmanship of armoring a luxury vehicle lies in creating an end product that looks no different than its unarmored counterparts. Despite the many important modifications that are required, passengers in an armored luxury sedan or limousine expect their surroundings to look the almost exactly the same as if they were riding in an unarmored vehicle. A production vehicle must be partially disassembled to insert the necessary armor plating and ballistic fabrics, along with certain mechanical modifications, then reassambled to cover up these security additions as much as possible. At the Armored Group, we offer armored luxury sedans and SUVs from top carmakers such as Lexus, Cadillac, Lincoln, Mercedes, Daimler, Audi and Land Rover. The Armored Group LLC has been constructing high-quality, high-security, state-of-the-art armored vehicle for 20 years. Our engineers and technicians build custom armored vehicles for private individuals and businesses worldwide, as well as for government, military and law enforcement use. Take some time to look over our inventory of armored cars, trucks, vans and SUVs, including many cost-saving used armored vehicles. To discuss your security needs with our professionals, call The Armored Group at 1-602-840-2271.